Michael is the local Regional Director for GRITIT in the Midlands and heads up local service delivery to a broad range of demanding clients every winter from October through to the Spring. Centrally based in Leicester and with an extensive footprint of depots across the Midlands, Mick has a passion and history for delivering a service that consistently scores 98%+ for customer service and satisfaction as seen in his Google Reviews. Mick and his team have extensive experience in successfully delivering local Winter Gritting and Snow Clearance services across the Midlands. 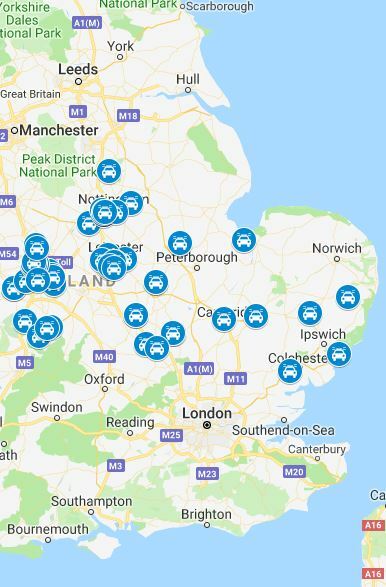 The Midlands HQ offers gritting, snow clearance and de-icing in Gloucestershire, Herefordshire, Worcestershire, Warwickshire, Northamptonshire, Milton Keynes, Cambridgeshire, Suffolk, Norfolk, Rutland, Peterborough, Leicestershire, West Midlands, Shropshire, Telford and Wrekin, Staffordshire (south), Derbyshire, Nottinghamshire & Lincolnshire.